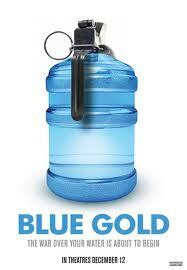 A radio adaptation of Blue Gold, a documentary on the subject of water privatization that was released last year based on a book of the same title by Tony Clarke and Maude Barlow. I have adapted it for radio. For those facing the gas drilling threat, the information in this film adds a whole new dimension. If they pollute the water as well as extract gas, there is a great additional profit opportunity. Selling us the water we once had for free as part of the commons they destroyed. This page was last modified on 6 October 2010, at 10:34.